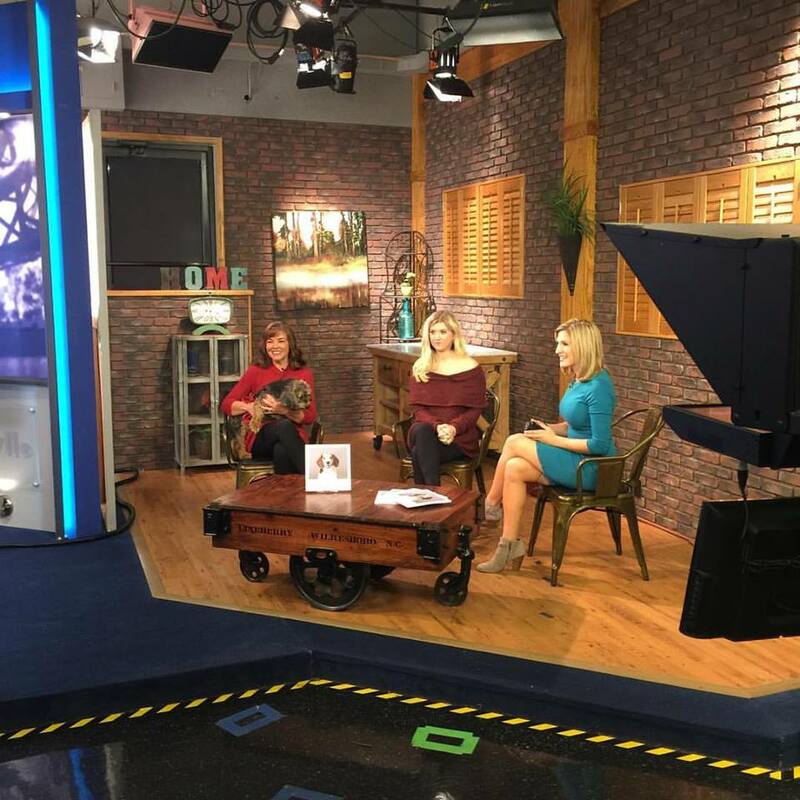 This morning, THV 11 hosted HOME SWEET HOME: Arkansas Rescue Dogs & Their Stories author Grace Vest, and Judy and Rocky Ostroski. Rocky was rescued from an attic following Hurricane Katrina by Judy’s husband Steve, who was in the National Guard and deployed to New Orleans when he found Rocky. Our small, local press appreciates THV 11 for the opportunity to share incredible rescue stories like Rocky’s, and to highlight Grace’s project to draw attention to rescue dogs needing homes across Arkansas. Hope you caught HOME SWEET HOME: Arkansas Rescue Dogs & Their Stories author Grace Vest and coverdog Champ on Good Afternoon Arkansas! Thank you KATV for sharing the stories of rescue dogs in our state. Home Sweet Home Launch Pawties! Home Sweet Home: Arkansas Rescue Dogs & Their Stories author Grace Vest and Et Alia publisher Erin Wood are featured by UA Little Rock as two alumnae working together. Vest is a 2015 mass communications graduate from UA Little Rock, and Wood earned her masters in professional and technical writing there in 2009. PHILIP MARTIN: "A dog is something like an angel . . ."
"I know how dear and fine these creatures are, and how vulnerable. While anthropomorphising is incorrect, dogs do have a psychology. They have motives and emotional insight and are capable of remorse and empathy. They are not like us. For all I know a dog's brain may be a blameless swamp of light and shadow, but they possess more than the suggestion of a soul. A dog is something like an angel, a being composed largely of love, designed to help us cope with this rough life." Read the rest of his piece, sharing some of the stories from Home Sweet Home: Arkansas Rescue Dogs & Their Stories, at Arkansas Online. We are proud to have Philip Martin in our family of Et Alia authors. In his collection of poems, songs, and journalism, The President Next Door, you'll discover more about his life with dogs as he shares contemplations about a beloved dog's seizures, the plight of animals during Hurricane Katrina, and the deep and abiding joys of canine companionship. The Only World You Get: Arkansas Stories ON SALE NOW! The Only World You Get: Arkansas Stories is on sale now from Et Alia Press and (if you must!) Amazon, both for $16.95 + Free Shipping. "This collection confirms what we already knew about Vannatta: that he belongs in the company of Charles Portis and Donald Harington, as one of the truest tale-tellers of The Natural State."